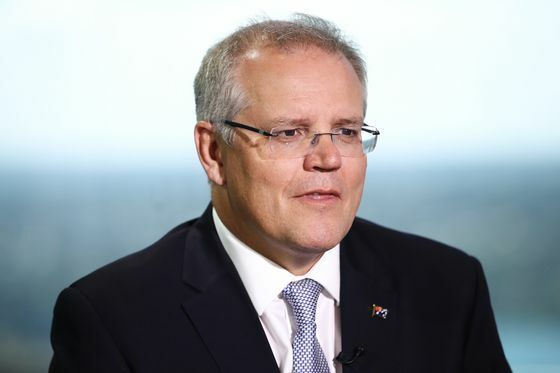 (Bloomberg) -- Australian Prime Minister Scott Morrison is seeking another term in office in elections expected in May. But with the main opposition Labor party leading in opinion polls, his Liberal-National government has a fight on its hands. The following are the key policy areas that will determine whether Morrison can pull off a surprise victory, or whether Labor will win power for the first time since 2013. 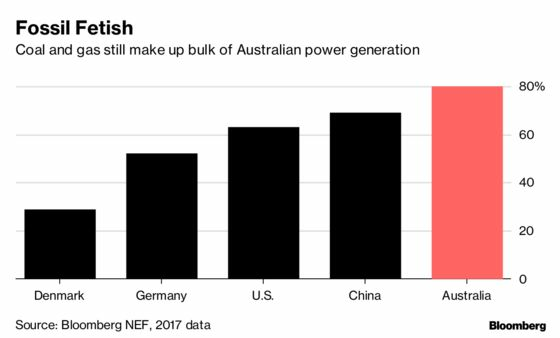 A key dividing line and an emotive topic in Australia -- which is blessed with natural wonders such as the Great Barrier Reef yet remains reliant on mining and exporting fossil fuels to keep its economy ticking. Housing affordability is a flashpoint in the campaign. After a five-year property boom priced many young Australians out of the market, Labor is pledging to scale back tax perks for property investors known as negative gearing. But with the market now falling, the government says Labor’s plan could crash values and derail the economy. Another battle is being fought over imputation or franking credits that allow shareholders to reduce their overall tax liability. Labor is planning to tighten the concessions, saying they cost the budget more than A$5 billion a year. The coalition says Labor’s plan would remove an important source of income for retirees. While unemployment has dropped under the coalition, stagnant wage growth means many Australians are not feeling the benefit of economic growth. Tackling the issue is another major policy divide between Labor and the government. Favors retaining the current system under which the Fair Work Commission sets a national minimum wage, based on consultations and research by an expert panel. It’s currently set at A$18.93 an hour, or A$719.20 a week. The government warns changing the system could lower productivity, hurt businesses and see unemployment rise. Is proposing a “living wage” to replace the minimum wage and says the Fair Work Commission will hear submissions from employers, unions and community groups before setting the figure. Unions have campaigned for the living wage to be set at 60% of median income. The coalition won office in 2013, in part due to its pledge to crack down on people smugglers ferrying refugees to Australia and ‘Stop the Boats.’ Its tough policy of holding refugees in Pacific island camps while their claims for asylum are processed, and ensuring none will be settled in Australia, has largely seen the boat arrivals dry up. The issue returned to the front pages this year after Labor helped force through a law to give doctors a greater say in evacuating sick refugees to Australia for medical treatment. The coalition and Labor have spent much of the past year wrangling over planned cuts to personal and corporate taxes and the issue is set to take center stage in the election. With revenues improving, the government unveiled pre-ballot sweeteners in the federal budget on April 2, while Labor leader Bill Shorten set out his stall two days later. Has fast-tracked cuts to the corporate tax rate for small and medium-sized firms to 25% from current 27.5% by 2021-22; firms with a turnover of less than A$50 million will get an instant tax write-off on new equipment worth up to A$30,000 Backs the company tax cuts, but wants to keep the rate at 30% for big firms.